Fact check: Is there such a thing called 'plastic' rice? Several complaints and rumours of ‘plastic rice’ in Telangana and Andhra have left people anxious. People in Telangana and Andhra have been a worried lot as several complaints and rumours of 'plastic rice' have been doing the rounds on television and social media. While some people in Visakhapatnam district filed a police complaint on the matter on Wednesday, some stalls at Vijayawada's Indira Gandhi Municipal Stadium have stopped selling biriyani following poor sales for the last five days. Meanwhile, Hyderabad saw complaints of 'plastic rice' from areas like Charminar, Yousufguda, Saroornagar and Meerpet. Complaints and rumours of 'plastic rice', made its way to Andhra Pradesh on Wednesday, as many traders and restaurants saw a dip in customers due to messages doing the rounds on social media. 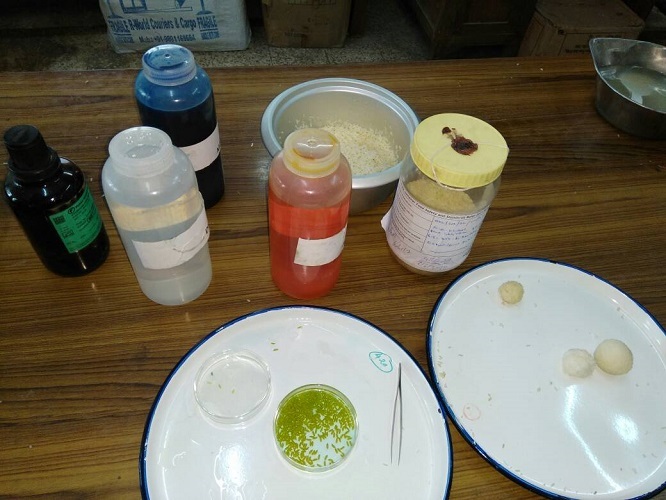 Following this, the Telangana Food and Civil Supplies Department took note of the matter and conducted various samples of the suspected 'plastic rice'. "There is nothing called 'plastic' rice in the first place. The term itself came after a video from China went viral on social media last year. No one has ever proved that such a thing exists," Osman Mohiuddin, a quality control analyst from the state department tell TNM. The rice in fact, may only be adulterated, but nothing more, experts say. The video that Mohiuddin is referring to went viral last year on Chinese social media, and showed workers feeding plastic waste into a machine, with the end result being white, rice-like granules. However, it was reported at the time, that the factory was merely producing plastic granules aimed for industrial use. How can we tell if the rice is organic? Mohiuddin says that there is a very simple method to differentiate rice from anything that could potentially not be rice. "Just put it in some water. If it sinks, then its organic rice. If it doesn't, it could be mixed with some other material," he says. This is different from when some uncooked rice grains float on the water, after being unable to penetrate the water's surface tension. The state department also conducted chemical tests on the rice that was collected. 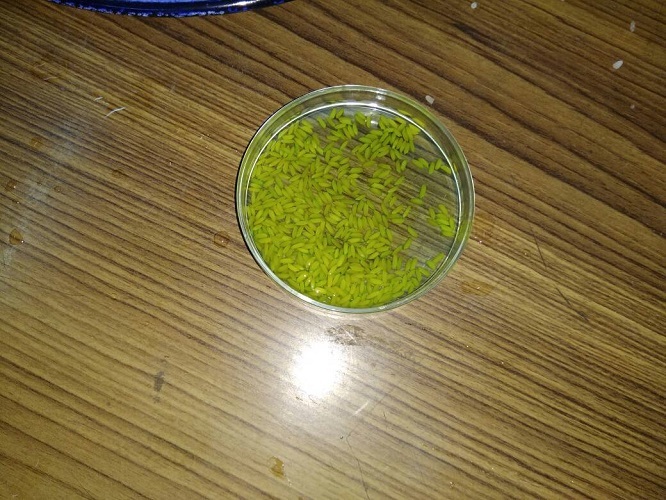 “We first took small amount of rice grains, and poured 20ml of Methylene blue in it. After washing it with Hydrochloric acid, we poured another 20ml of Methylene yellow. The colour changed to greenish. if it was not normal rice, the colour would have remained white,” Mohiuddin says. In the case of the reports from Hyderabad, a video that went viral on social media, showed a bunch of youth opening a rice packet, and clumping it together till it became a ball. After that, the youth bounced the 'ball' on the table, and claimed that it was bouncing because it was 'plastic' rice. However, authorities have since debunked that claim. “We cooked a certain amount of the rice we tested. It usually becomes a little paste-like after cooking. When you make balls out of the cooked pasty rice and drop it on a surface, it bounces a little bit. It is nothing unusual,” Mohiuddin says. Nageshwar Rao, Deputy General Manager of the Civil Supplies Department in Hyderabad also said that the rice showed no signs of being tampered with. Another major report of this fake rice came from Nigeria in December 2016. Claiming that 50kg of rice with no date of manufacture were intercepted, The Guardian reported that a preliminary analysis of the rice showed that it was 'sticky'. However, it gave no further details. A few days later, officials said that the rice was just contaminated and contained bacteria "above permissible limits." Additionally, traders argue that even the process of making 'plastic' rice is counter-productive. “Andhra Pradesh is considered to be the rice bowl of India and we have production sufficient for the next three or four years. The cost of rice is cheaper than the cost of plastic rice. There is no chance of plastic rice being sold in the state,” Secretary of the Rice Traders Association, Konijeti Prasad, told Deccan Chronicle. For now, officials say that there is no reason to panic as none of the claims have stood up scrutiny in a scientific lab. "We have sent the samples to the State Food Laboratory for further testing. We expect the results in a few days," Mohiuddin says.